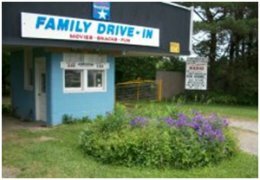 The Kane Family Drive-In Theatre, on 6627 Route 6 East in Kane, Pennsylvania, is the only drive-in theatre in the Allegheny National Forest Region. Watch the movie on the big screen as you lean back and listen to the sounds of your favorite movie on your car’s FM radio. Enjoy an evening of with your family or sweetheart. Find a spot on the terraced and all grass covered lot and enjoy hit movies and double features on the 63 foot tall and fully digitalized screen. Bring your soccer or football, chairs and blankets to enjoy a family fun evening. Grab some food at the concession stand that offers burgers, pizzas, popcorn, “hand dipped” milkshakes or sodas. Admission is charged per individual. Children under six are admitted for free. 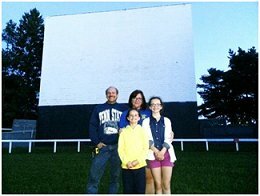 Drive-in season begins the last weekend in April and ends in mid-September.